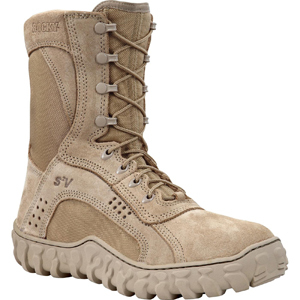 The Rocky S2V Vented Military Duty Boot combines numerous state-of-the-art technologies to maximize toughness and comfort for military professionals. For heavy duty, rugged military action, the Rocky S2V has numerous design features to perform at the highest level. Composed of flash and water-resistant leather, this boot can withstand fire hazards and the harsh realities of sea-to-land warfare. To these same ends, the boot’s panels and sides consist of 1,000 denier Cordura fabric treated with PTFE coating to enhance its flame resistance and Dri-Lex lining to wick away moisture. In addition to these technologies, the Rocky S2V drainage vents let water and debris out. With advanced S2V SieveTM technology, these boots circulate air in and water out to keep feet dry, cool, and comfortable regardless of the conditions. The Rocky S2V boots have a protective toe, which impact testing has revealed a rating of I75/C75. These Rocky S2V boots also entail nail-free construction and steel composition toe caps, which insulates the wearer from electricity. Although the boots do not provide primary protection from electricity, they do have these safeguards and exceed ASTM F2413-05 electrical hazard standards. Finally, these boots have Aegis Microbe Shield technology to avoid bacteria and fungi that can cause rot and discomfort. These Rocky S2V boots certainly have the technology to endure numerous hardships on the battlefield. 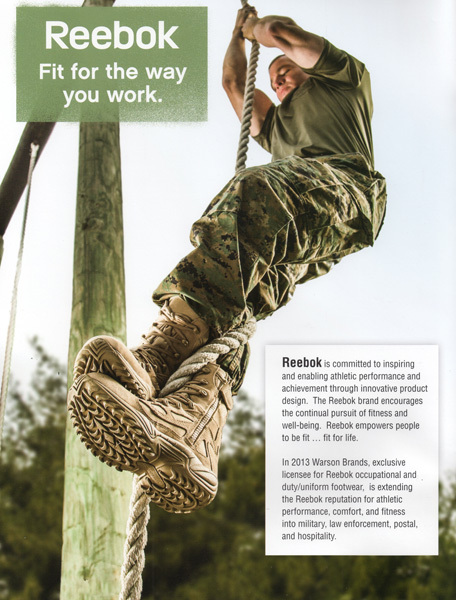 When military personnel wear the Rocky S2V, they rave about its comfort and support. “This boot feels fantastic on the feet,” explained one soldier, who added, “Break-in wasn’t hard at all and afterwards they feel like sneakers.” He concluded, “I have already noticed less foot pain and they seem to hold up well in wet cold conditions.” The Rocky S2V has high-walled Virbram soles with perforated, cushioned footbeds for comfortable steps and stretch Lycra tongues to stay snug on the foot. Another soldier characterized them as “very comfortable light-weight boots.” For ankle support, the Rocky S2V implements a rounded edge outsole for a stable foundation, thus reducing ankle injuries caused by roll-overs. “I bought these shoes in Kabul, Afghanistan,” explained another soldier, who characterized these boots as “very soft and comfortable” and confessed, “my feet do not sweat.” He concluded, “Worth every coin. 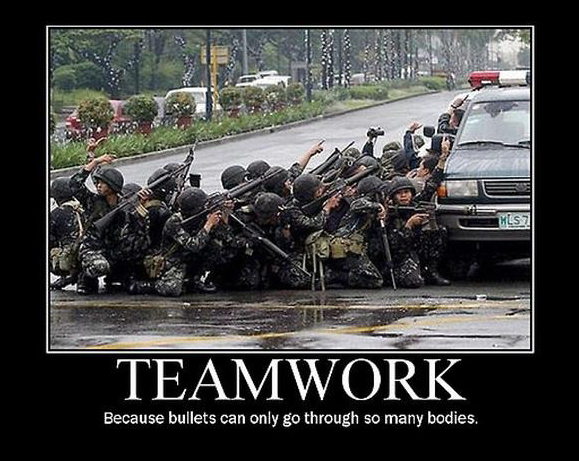 I recommend them.” Interested military personnel will have no problems finding the right fit and style. The Rocky S2V meets AR 670-1 uniform compliance regulations and comes in colors including Desert Tan, Coyote Brown, and Sage Green. The boots come full and half-sizes from 3 to 15 and in medium and wide widths to ensure a comfortable, secure fit for each customer. For comfort, safety, and toughness, the Rocky S2V Vented Military Duty Boot pleases military personnel at home and abroad.